The economic cost of physical inactivity in Europe came to the fore in the European Parliament’s Committee on Culture and Education (CULT) meeting and workshop on 14 September. Among the EU Members of Parliament present were Julie Ward (S&D, UK), Hannu Takkula (ALDE, Finland) and Bogdan Wenta (EPP, Poland), who voiced their concerns about Europe’s “physical inactivity time bomb” and their support for the NowWeMOVE campaign earlier this year. The Head of the EU Sport Unit, Yves le Lostecque, announced the preliminary results of the European Week of Sport, estimating that 3000 events took place with 5 million participants. With MOVE Week’s contribution to this initiative, Kirkeby predicted this would add around 6000 events to the European Week of Sport’s 3000. 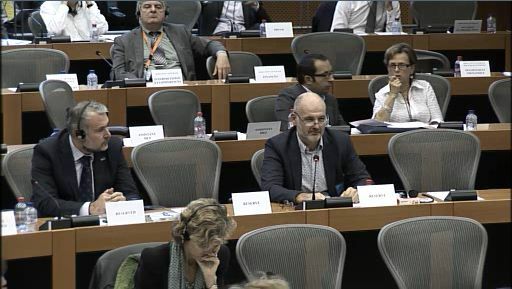 The full hearing can be viewed on-demand at the European Parliament’s website (Mogens' intervention can be viewed at 17:28:50).